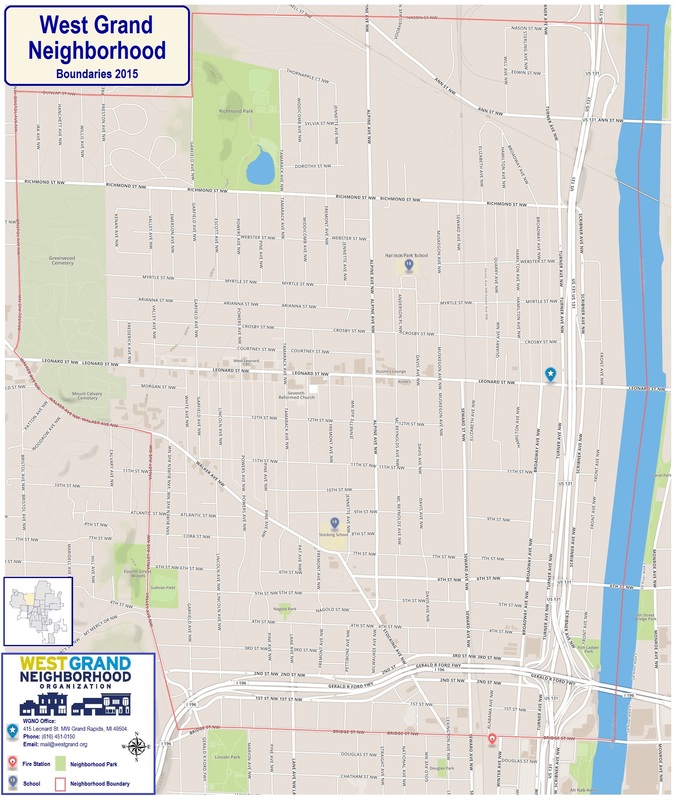 The boundaries of the West Grand neighborhood include the Grand River to the east, Bridge Street to the south, Bristol Street to the southwest, and the city limits to the north. This can be seen in the map below. Click here for a printable image of the neighborhood's boundaries.